Considering how much of an icon James Dean was, it’s amazing that I’ve never actually seen any of his movies. 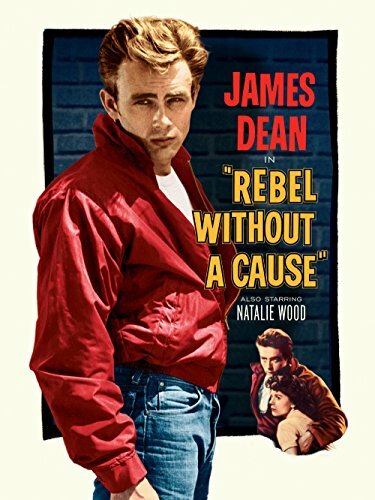 For my second classic film, I thought I would watch 1955’s Rebel Without a Cause. The first thing that struck me, was the soundtrack and titles were very old and seriously dated this movie. My initial feeling was that I wasn’t going to enjoy this, but then the opening shot was a drunk Jim Stark (James Dean), laying down on the pavement for a nap with a small toy. At first I was unsure where the story was going, and whilst there was a plot, which built up to a finale, the main takeaway for me, was that this was a story of young men and their need for strong male role models as they try to understand what it means to be a man. There’s also a few instances involving the idea of not caring what others think, and how you can be both strong and gentle at the same time. I’m surprised how relevant I found a 1955 movie to be in a 2018 social media influenced age!